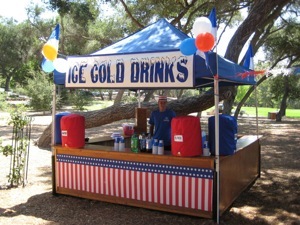 Step on up to an All-American Carnival theme. Enjoy a barbequed beef sandwich at the Old Fashioned Carnival Buffet and test your luck at winning a prize at a festive carnival booth. Don't forget to look in the fun house mirror! 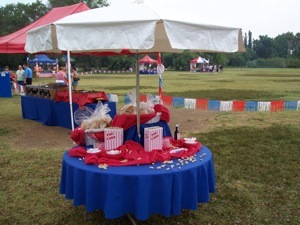 Every detail of the All-American Carnival is carefully coordinated from the colors of the linens, umbrellas or canopies to the flowers, balloons and carnival props. Themed prizes are even given away. 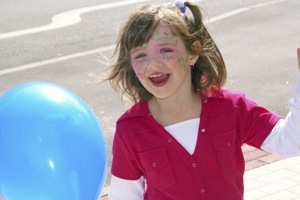 Complement your All-American Carnival with a variety of rides, midway games and entertainers. "Everybody had fun and we are still talking about it. We're looking forward to next year!"